A New Year and all that it promises is just up ahead – and it’s great to see so many engaged with yesterday’s runout ahead of next month’s pre-season action – but before the fireworks herald the arrival of 2018 it’s worth giving a final nod back to the year that’s slipping away from us. What a difference twelve months makes. Well, at a personal level that’s true. This time last year I was still in the throes of despair following the All-Ireland final replay loss at the start of October but this time round I’m completely at peace after our 2017 championship season and eagerly looking forward to 2018. Maybe that says more about me than it does about the wider mood but I think that, from a Mayo supporter’s perspective, it’s impossible not to feel satisfied at the year we’ve had following the team. Sure, 2017 goes down in the record books like all the other ones where we just fell short but our marathon, often heart-stopping but frequently coruscating championship season will live long in the memory, quite possibly after all the others have been forgotten about. I keep saying it but it’s worth repeating – these are special times to be a Mayo supporter. This is by some distance the best Mayo team I’ve ever seen and they played some of their best football this year. It still wasn’t enough and, for all our efforts, we’ve no national silverware – and, for two years, no provincial honours either – to admire. Pride in this team’s performance has, then, to be tempered by this uncompromising fact. But we’re close, so agonisingly bloody close. Or at least we were this year, just like last year. As another year dawns, we’ve got the whole mountain to climb all over again to earn another shot at Sam but we have every right to be confident in our team’s ability to last the distance and to be in the hunt for ultimate glory. So, then, farewell 2017 and, despite that bittersweet finish to the season, thanks for all the memories. Here’s to even better things in the year that’s about to begin. I was much more disheartened this time last year. Was struggling to see how we could bounce back and really believed that if were to do so, it would have to be as Connacht champions. That plan didn’t pan out but the lads absorbed a few knocks and found a path to the third Sunday in September. The result as of course galling, but the performance from our lads was full of honesty, pride and conviction – this hasn’t always been the case for us in finals.It wasn’t enough but there’s certainly enough there to look forward to 2018 with some optimism. I’ve been following Mayo football for 35 years and have never been as invested in them. Friends and colleagues sometimes ask if I might devolve myself due to the disappointment, but I simply don’t see it that way. I’ve had some of the best days of my life following Mayo and now I get to bring my own kids into the fold. We go again – it won’t be straight forward, there’ll be plenty of bumps and turns and high drama – but as Malachy Clerkin in the IT alluded to in his season review, there wouldn’t be much of a championship at all without Mayo. The mood is definitely different. There is excitement in the air for the FBD League to start. Bonkers. There was extensive coverage and interest in a December challenge game against a college team – even more bonkers!! I think we will see huge crowds at the FBD games, probably record breaking attendances. Football has never been bigger in Mayo. I am looking forward to seeing them next Sunday in the FBD I can’t wait actually. I hope the lads are enjoying their well deserved break in KL I hope the ladies team get a holiday too they deserve recognition too after getting to an all Ireland final. 2018 brings no guarantees but I hope we all will have good health and happiness to enjoy the journey and see what happens. God bless all for 2018 and best of luck to John Maughan and his fine Lahardane team. Happy New Year to ye all! Happy New Year to you Willie Joe. And to all the posters and readers of this blog. Even a couple of pessimistic Mayo fans that I call friends are feeling different this time, they watched the final over the Christmas which would have been torture other years so something has changed in the mindset of these fellas. And that took some doing!! Is our first game against Monaghan definitely in Clones or is it in Castleblayney? Glad to see Freeman back. Expecting a big year from Boland, EOD, and Coen and I am delighted to see Akram Duffy, and Ruane involved. Its. one thing to name former minor players now playing at senior level, but a different story to see them make Mayo senior setup. Happy New Year everyone. Correct WJ 2017 will live long in our memory for all the right reasons. This great team finally started to produce great football. It has changed the mood in this county. In the mist of so many depressed people our footballers are our beacon of bright shinning light. Happy new year to all….I am currently watching the All Ireland final on TG4. 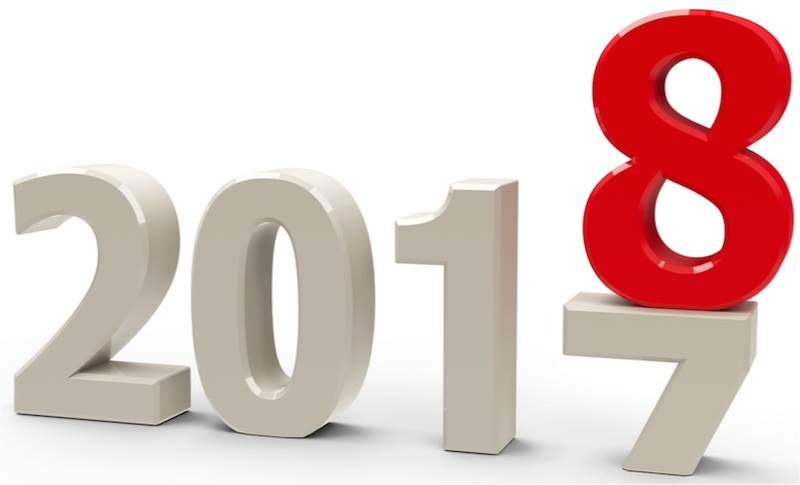 Looking forward to 2018. Willie Joe. Just to say thanks for all the trojan work you did here in 2017. It was a mad year in this place and a few of us lost the run of ourselves from time to time. All the “May West” to yourself and yours for 2018. Will this be the year i wonder? Just as a matter of interest, if we say Jason Gibbons, Alan Freeman, Shoz Akram, Brian Reape and lets say Neil Douglas get called up for the national league panel, a few of last years panel may lose out, i know with Alan Dillons retirement and Lees injury it will free up 2 spots. I think Stephan has possibly the best Mayo panel in history at his disposal..
We go again. You have to love this bunch of lads. Definitely best year following them, even if no silverware. Last year was pretty good too. The last 5/6 years have been amazing really – such memories made. Here’s to more of the same for 2018 with a slightly different ending. Happy New Year everyone and thank you WJ. 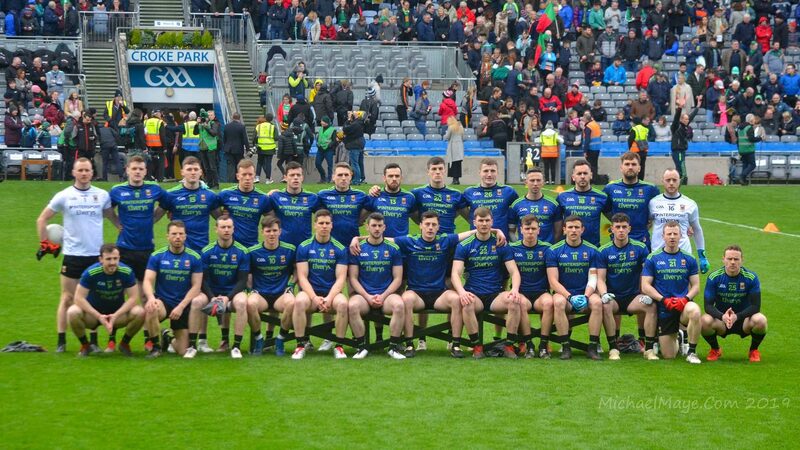 What great reading and articles we had on here WJ .I wish everyone on here a Happy New Year and we will be looking forward to seeing this Fabulous Mayo team on the road again ,and is good to see new faces on the Panel for 2018. Happy New Year to all..Have the Mayo calendar already hanging in kitchen and new Mayo top ready for its first outing..Buckle up for 2018!! I’m very upbeat about mayo going forward I, ll never forget last year , I was in croaker 5 times and to think we were a heart beat away from the chop against derry take mayo out of that championship ship and what would you have? I love the positive vibe from all the contributers on the site lately and all the info about the new, upcoming stars I’m not worried about our present team not achieving silver ware yet because I really feel we are entering a period of “dynasty” for Mayo football Some observers in the past have been worried about mayo getting old and stale but the reality is we’ve been introducing new talent in a gradual and sensible way From the Horan team we’ve lost Varley, Conway and cunniffe but you’d hardly notice with the quality of replacements last year we played without a recognised full back in the traditional sense we must not forget we have recent minor and under 21 successful teams very few counties can boast that Besides our up and coming stars the most important change has been our method were using a similar panel now but to greater effect we have brain s and innovation on the sideline I’m very positive about mayo over next year and beyond happy new year to all. It like a Cult following Mayo! Obsessed. Here we were around the table earlier (all ages) talking excitedly re a mayo challenge game yesterday and making plans for 2018!! Would follow this team to the ends of the earth and back! happy new year to ye all. Love this Team. Hear Hear Willie Joe, and thank you too for all your excellent reports, insights and analysis. Happy New Year from us all here in Kilmeena and Castlebar. Great to see Freeman back in squad. Can’t say he’s a potential match winner, nevertheless, what he does contribute is an honesty, direction, and an ability to be a focal point in attack. It’s all about getting the right combination up front, and work to complement individual talents. Also, great to see SR stayed on – a fabulous man manager.. Looking at the players added to Galway squad, I can also see a genuine rivalry developing again between Mayo and Galway – it can only benefit both, and Connaught in general. Best of luck 2018..
Forwards – two speedy scorers that put the opposition on the backfoot.Brian Reape/Conor Loftus/Ciaran Treacy will go close. The freetaking I think Cillian will get back on track. jr, Good luck trying to find a free taker better than Cillian. Look at his stats, only Rock can rival him. Mayo lucky to have him. Happy 2018 to you WJ and all the bloggers. Thanks so much for this blog.It is a gift for us mad supporters. What joy it is to follow our never ever to be forgotten team. If this Mayo team were not in championship in 2017, the media would be slating our national game as finished. They made it the most exciting year. Have a great holiday you guys and thank’s for that spirit within, which will only get stronger in 2018. Thanks to our great ladies team too for their wonderful display in 2017. Here’s to a great year for both teams. We’ll keep onn keeping onn!! Cillian still missed some vital frees–very hard to be good from both sides of pitch.I think he is more accurate from the ground–i realise all he has done for the team. It will be interesting to see if any of the new/fringe players can make the step up. Its a huge step. Can take a lot of young lads years to take. But hopefully rochford will cut them loose in the league. It will probably mean relegation but so be it .. thefe is no shortcuts when trying to blood players ..
Can Loftus step up. He has huge potential..
Dont know what to make of freeman being involved again ..
Is regan gone ? Didnt look good enough being honest but has a lot of talent. Havent seen much of reape .. does he have much pace ? Happy New Year to all on the blog !! @AT. Brian Reape is plenty quick, not blazing like Ciaran Treacy but he has a few tricks up his sleeve to beat defenders and a fair bit of size/strength. Following mayo has defo turned into a cult, I see my brother who had no interest in gaa growing up, totally obsessed with it. Gas Mayoman re this Cult!! I agree even pals outside of county who had never interest in GAA, nevermind mayo football, all know Leeroy, Aido, Seamie!! Some journey we are on. Would it be too much to get fair play from the Refs in All Ireland(hoping we be there of course). a very happy new year to each and everyone of you!